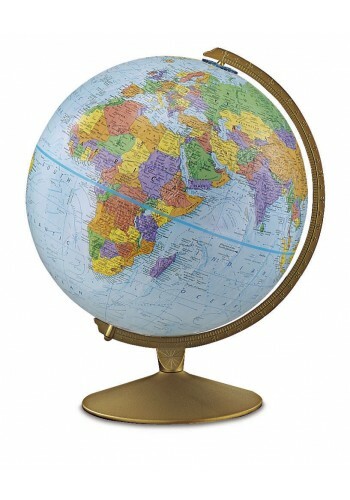 The economical Explorer Desk Globe from Replogle is designed for hands-on classroom learning. The map features vivid, contrasting colors to distinguish boundaries. Raised relief gives students a more accurate representation of our world. The metal semi-meridian and base are finished in matte gold paint.